We deliver a range of marquees from small unlined and open sided marquees to a fully lined and floored marquee that is lit and heated. Easy Marquee Hire do not just deliver what our clients want and when they want it. We deliver more than our clients even realise could be possible. 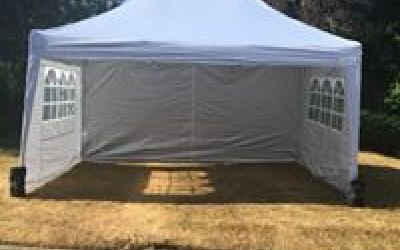 We range from a small unlined and open sided Marquee or pop up tent/gazebo to a fully lined and floored Marquee that is lit and well heated and full of dreams. Best of all the only effort required by our clients is the willingness to be amazed. 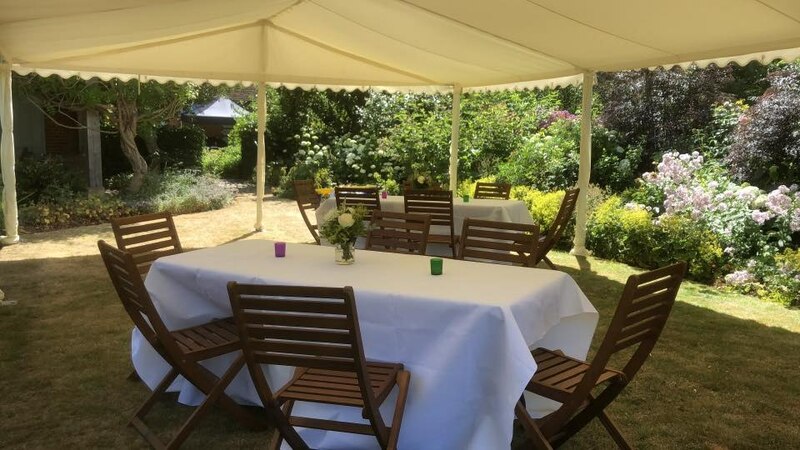 As a bespoke Party Marquee Provider, we can provide you with the simplest of coverings or a plethora of services from our industry friends that range from bouncy castles to catering. From lighting & heating to DJ's. There is no length we will not go to to try to provide what you require. 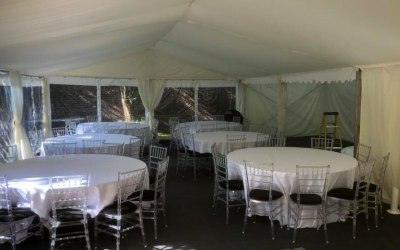 Unfortunately our caterer produced 8' tables and not the 6' ones we had booked out from the church hall and which she was supposed to collect, so we were a little congested in the marquee, mea culpa. I should have collected them myself. 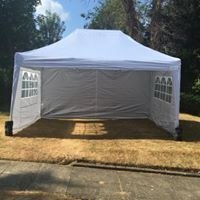 The service was excellent and communication good: they arrived in good time and removed as planned but we could have done with a larger marquee and not the 3mtr x 6mtr. we booked. Jo and Robin are fabulous to deal with. Jo and Robin are great to deal with. Loads of communication and help. 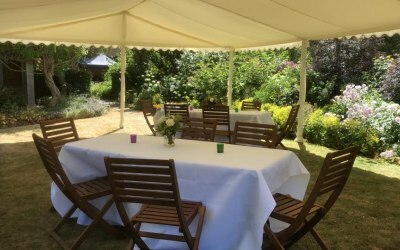 Everything was working well for the party, the marquee looked great in the garden and gave a very cosy atmosphere for my party for 50 people. Thank you Lisbet. We are so pleased that the weather behaved itself and the sunshine came out for your party! We really appreciate your feedback. 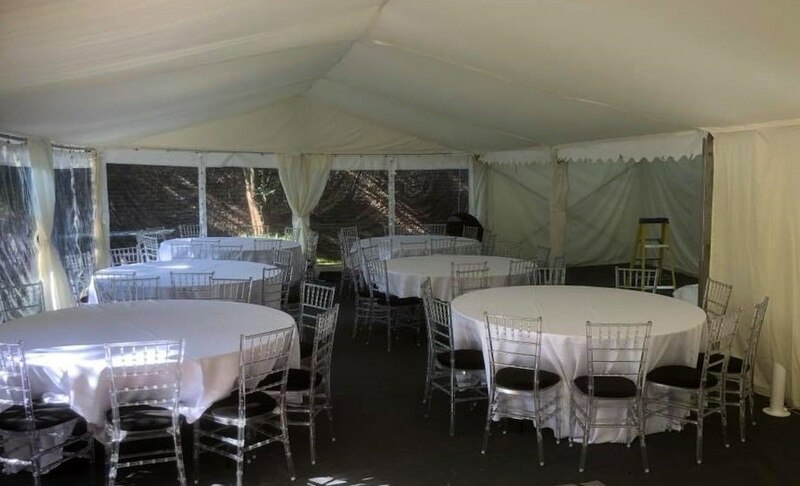 We had a small dinner party for our son's 25 th for 30 guests - Some of the quotes seemed so expensive - your 6 x 6 m marquee was perfect - plenty of space for seating 30 . The simple lighting was a necessity as it was an evening party plus the grey matting . 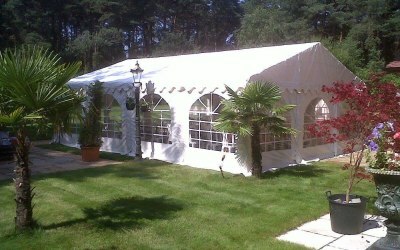 Thanks for supplying the marquee without lining - it just wasnt needed for the informal party that Nick wanted ! We will definately use you again in the future . Thank you for your kind review and we are glad that you enjoyed your evening! 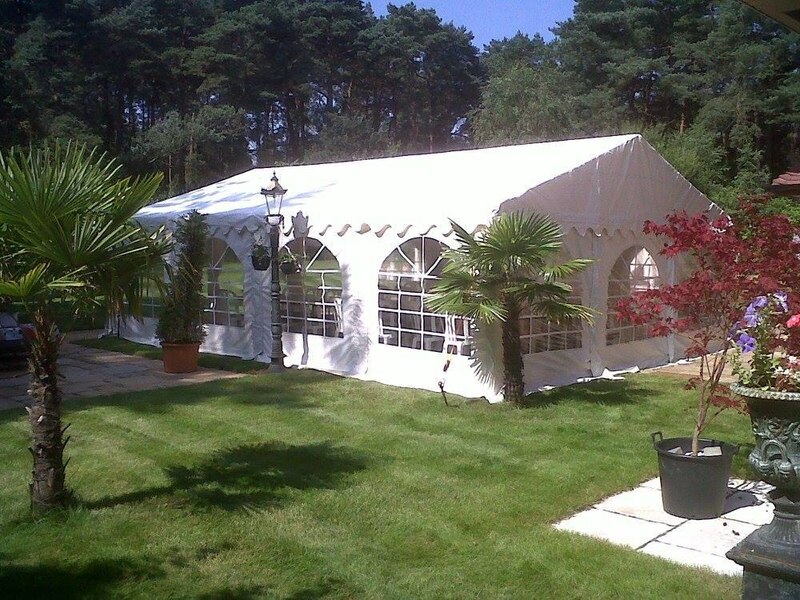 Get quotes from Easy Marquee Hire and others within hours.